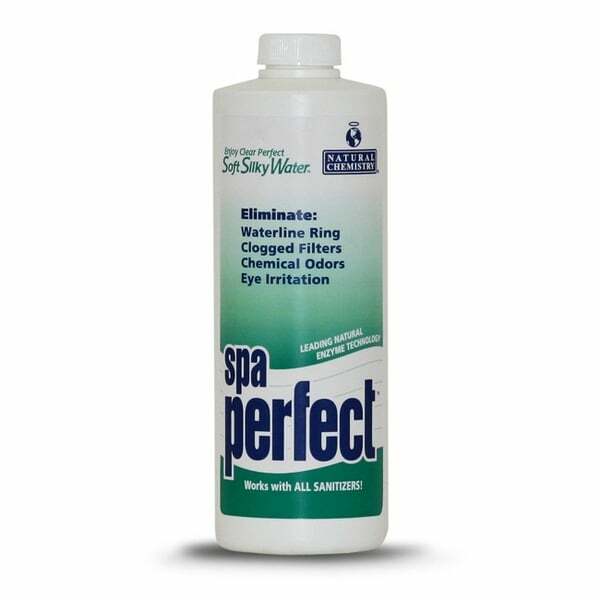 Spa Perfect features a natural SMARTzyme technology and botanical formula that biodegrades unwanted non-living organic contaminants that reside in your hot tub and spa water. For example, Spa Perfect can rid your water of body oils, cosmetics, suntan lotions, hair products and other materials that inevitably are present in your home oasis. These contaminants can lead to waterline rings, clouded filters, clouded water, and unpleasant smells. Spa Perfect also doubles to continuously clean cartridge filters. All of this works to reduce regular spa maintenance, prolong filter cycles, and keep water feeling as soft and silky as the first time you ran it. Chlorine/sanitizers above 6ppm may deactivate this product. All-natural enzyme looks like a cup of coffee.